In preparation of your CCNA exam, we want to make sure we cover the various concepts that we could see on your Cisco CCNA exam. 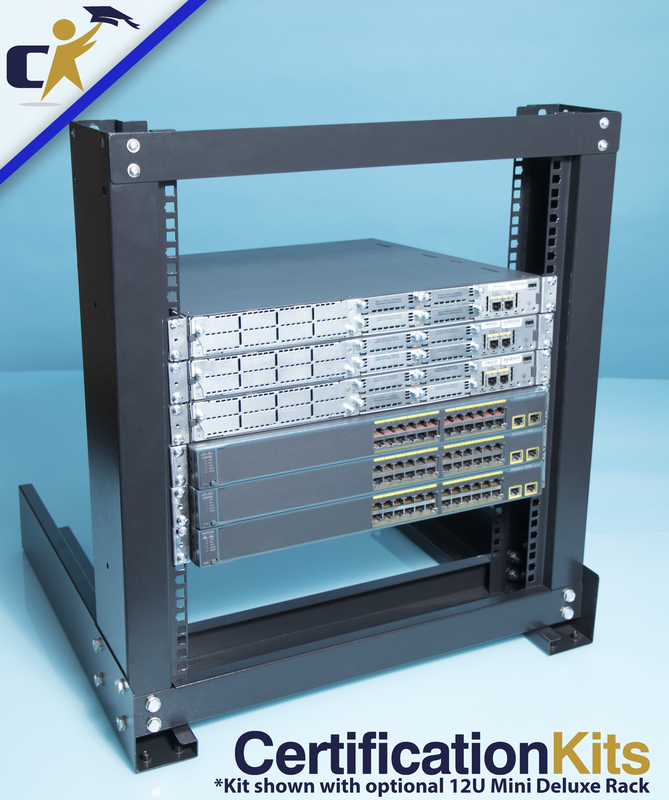 So to assist you, below we will discuss one of the more difficult CCNA concepts; Implementing Subnet Planning. As you progress through your CCNA exam studies, I am sure with repetition you will find this topic becomes easier. So even though it may be a difficult concept and confusing at first, keep at it as no one said getting your Cisco certification would be easy! 172.16.1.0, 172.16.2.0, 172.16.3.0, and 172.16.4.0. If traffic were evenly distributed to each end station, the use of subnetting would reduce the overall traffic seen by each end station by 75 percent. The ip netmask-format command can be used to specify the format of network masks for the current session. Dotted decimal is the default. 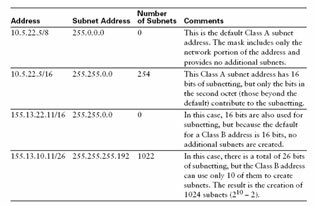 Each address class has a default subnet mask. The default subnet masks only the network portion of the address, the effect of which is no subnetting. With each bit of subnetting beyond the default, you can create 2n – 2 subnets. These examples show the effect of adding subnet bits. To determine an address’s subnet, a router performs a logical AND operation with the IP address and subnet mask. Recall that the host portion of the subnet mask is all 0s. 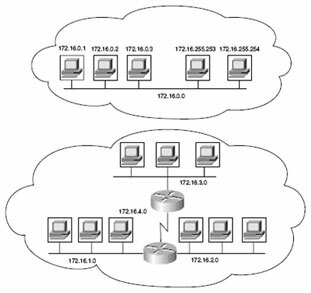 The result of this operation is that the host portion of the address is removed, and the router bases its decision on only the network portion of the address. In the figure, the host bits are removed, and the network portion of the address is revealed. In this case, a 10-bit subnet address is used, and the network (subnet) number 172.16.2.128 is extracted. Hop count is used as the metric for path selection (the maximum is 15). Flooded broadcasts (255.255.255.255)—Local broadcasts within a subnet. 1 Write down the 32-bit address. Directly below that, write down the subnet mask. 2 Draw a vertical line just after the last 1 bit in the subnet mask. 3 Copy the portion of the IP address to the left of the line. Place all 0s for the remaining free spaces to the right. This is the subnet number. 4 Copy the portion of the IP address to the left of the line. Place all 1s for the remaining free spaces to the right. This is the broadcast address. 5 Copy the portion of the IP address to the left of the line. Place all 0s in the remaining free spaces until you reach the last free space. Place a 1 in that free space. This is your first usable address. 6 Copy the portion of the IP address to the left of the line. Place all 1s in the remaining free spaces until you reach the last free space. Place a 0 in that free space. This is your last usable address. 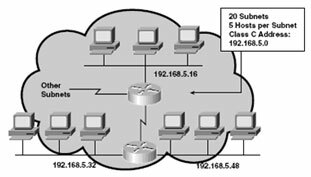 1 Determine the number of subnets and hosts for each subnet required. 3 The remaining bits in the last octet are used for the host field. 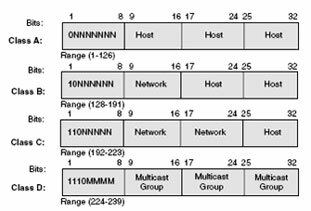 In this case, each subnet has 23 – 2, or 6 hosts. 4 The final host addresses are a combination of the network/subnet plus each host value. The hosts on the 192.168.5.32 subnet would be addressed as 192.168.5.33, 192.168.5.34, 192.168.5.35, and so forth. Breaking up networks into smaller segments (or subnets) improves network efficiency and conserves IP addresses. 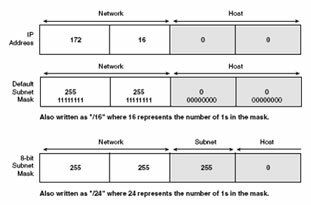 A 32-bit subnet mask determines the boundary between the subnet host portions of the IP address using 1s and 0s. A subnet defines a broadcast domain in a routed network. Cisco IOS Software supports directed, local network, and subnet broadcasts. Subnet planning should be based on future growth predictions rather than current needs.